la salon Bianca is proud to carry the best quality and best performing products. We are constantly on the search for the best products that make styling and taking care of your hair easier and more efficient. Our Primary color line we use at la salon Bianca is Schwarzkopf Professional Hair color. The owner, Kristina Bianca has been a color educator for Schwarzkopf for over ten years. We stay current on color trends and techniques to give you the best color service and experience! We do branch out to other color lines if needed. We have various product lines at la salon Bianca. Based on your hair and what you want in a product we have a solution for you! 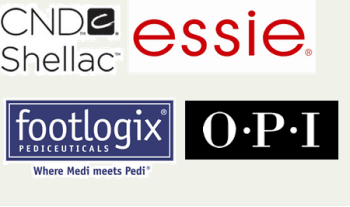 Our four primary lines are Schwarzkopf Professional, Eufora, UNITE, Aveda & Ouidad Products. We also offer Olaplex. We use CNDC Shellac, Essie Polish and Gel Polish, and OPI Polish. We use Footlogix Pediceuticals Healing Foot Foams, Scrubs, etc. 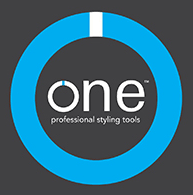 We use and offer ONE Professional Styling Tools line. We use and offer Bodyography Professional Cosmetics. We use this makeup for basic makeup applications as well as for formal events. We also offer makeup lessons!